It all started with my newly painted mirror. Added an old wine bottle, I would love a real antique bottle. I used a galvanized bucket and live plant on the right, elevated with books. I don’t think that I’ve decorated with pink before. 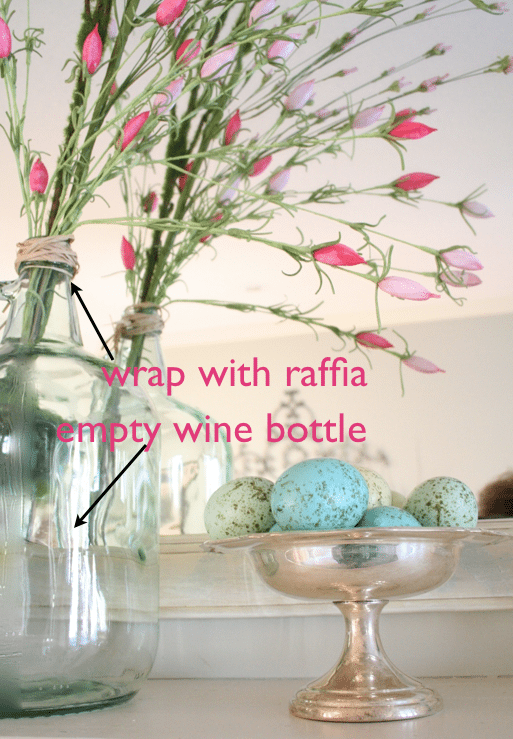 I wrapped raffia around the top of the wine bottle, put some TJ Maxx realistic looking eggs in a silver bowl. It was so easy to peal the cover off the $1 books. I love the refreshing look of the light colors. What color says Spring to YOU? Lovely Mantel!! I love the pops of pink!! : ) I’m actually quite partial to pink during spring time! Love, love, love it! 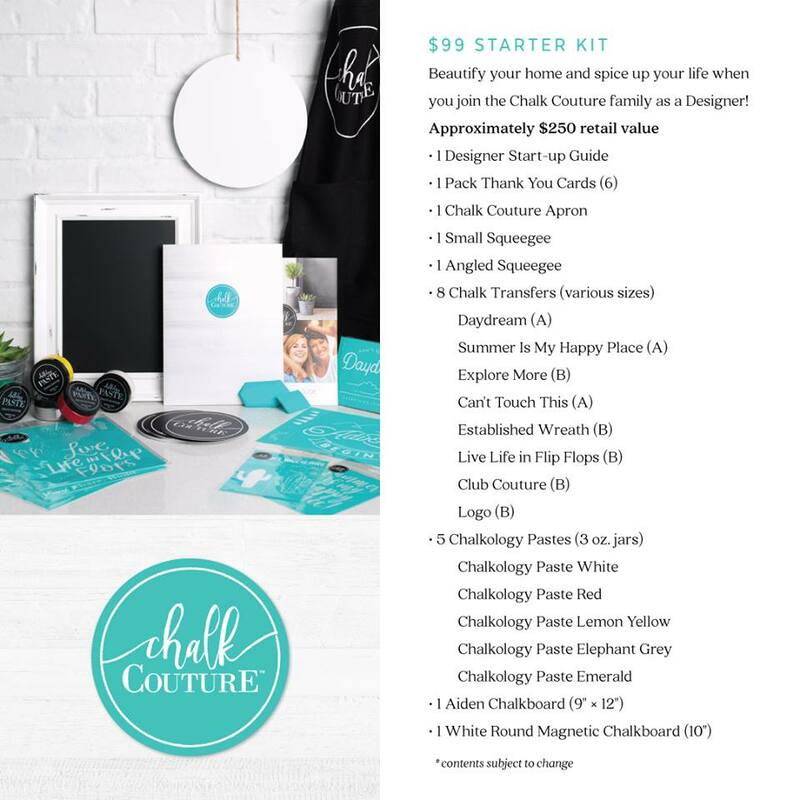 Everything…all of it! 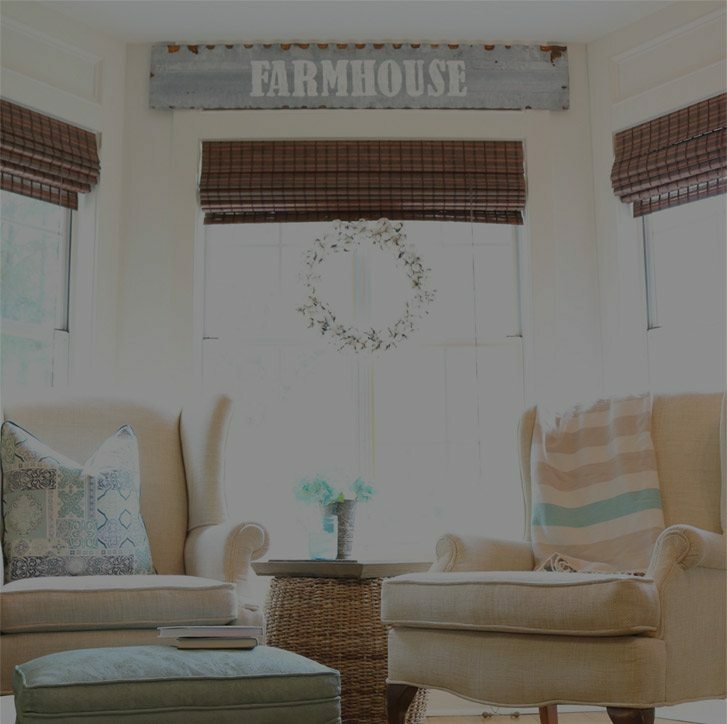 So springy…just makes me want to open the windows! Wow, Debbie! It’s absolutely gorgeous…I love the splashes of pink. They are beautiful! So Pretty and Fresh! Hey, don’t tell anyone the wine bottle is not old…they won’t know the difference. I have been hoarding some just like that to use sometime. I think they have that “old glass” wavy look. I like the way you tied the twine on the neck of the bottle. What an absolutely BEAUTIFUL spring display! Thanks so much for partyin’ with us today, Debbie! So pretty, you’ve done a fabulous job with your mantle – so Springy!! What are the little flowers in the wine bottle? They do look lovely! Looks so springalicious!! Loving all the PINK! 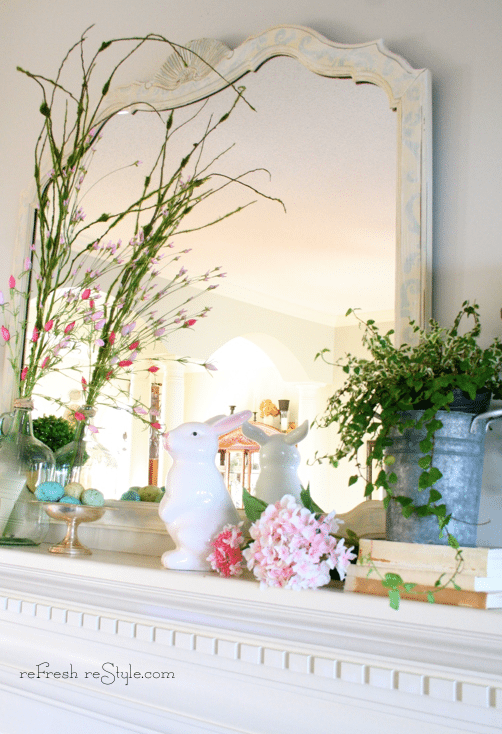 Your mantel is certainly a true reflection of spring! I adore your sprays of delicate flowers and the touches of pink. Your display of eggs in a silver compote is beautiful. Thank you for the much needed inspiration as I sit and stare at my mantel begging to be ‘dressed’! Wow debbie How Gorgeous your mantel look with the Beautiful Mirror you made and all the Spring and easter Items . I Just Love it!! Your mantel is gorgeous. So fresh and light. Love the eggs in the silver bowl! I love it Debbie! It is so soft and definately says Spring. I have got to get me some $1 books and do that. I love the look. p.s. I am such a dork, I was already following you. lol! 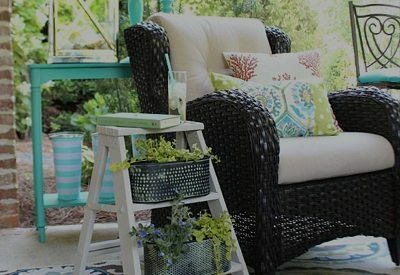 What a beautiful Spring vignette. It’s beautiful, Debbie! 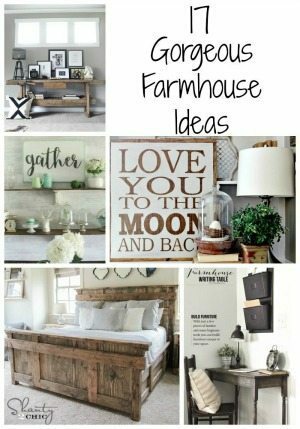 Love the bucket … the old wine bottle … the eggs and soft pops of color. ALL of it! Beautiful mantel. I love those cute little eggs! 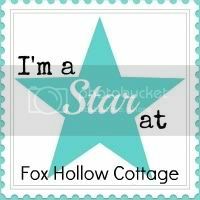 Stopping by from Fox Hollow Cottage’s Spring Mantel party. That is spring at it’s best! So pretty! Your mantel looks so pretty!! Those pink flowers and the bunny are my fav. What a beautiful mantel! 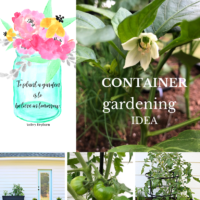 You are ready for spring! 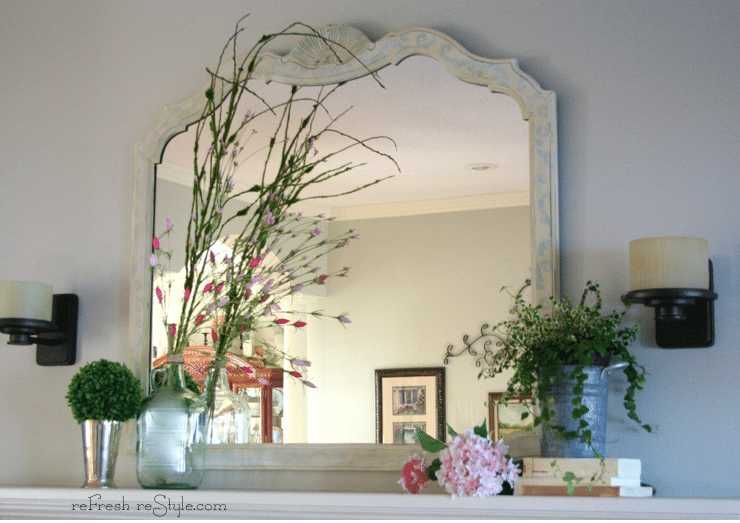 The mirror looks beautiful…Love your Spring Mantel! Beautiful as always Debbie. I enjoy your attention to details always. Pretty photos too. Your mantel is darling! Soft looking and sweet. Pink looks good on your mantel. Debbie, I love the pastels you used in your mantel! It looks so bright and springy! 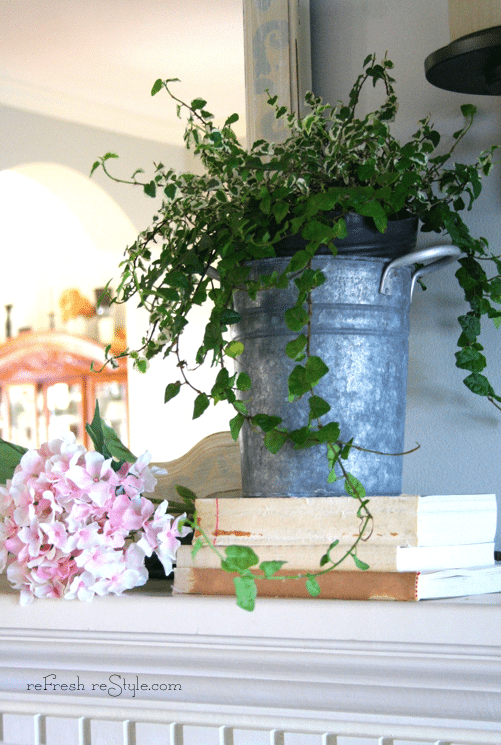 I’m a galvanized girl- your bucket with the green plant is so cute! It’s all so pretty and fresh! I think pink suits you. Springy. 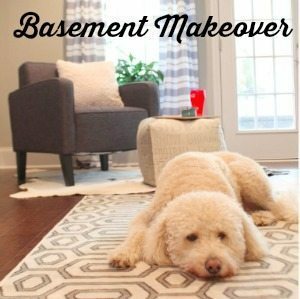 So fresh and fun! Love the pink and the old wine bottle (love green glass). your mantel looks so pretty and ready for spring!!! I bought those eggs at Marshals and have them on my piano. Love ur mantel especially ur mirror. Your mantel is so fresh and pretty for spring. I like the variety of textures and details without overloading. So pretty! 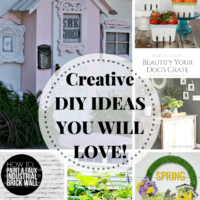 I love, love, love the galvanized bucket! The little dish of eggs is a great touch too. 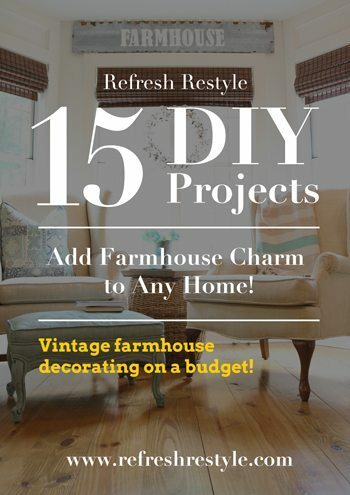 I’d love it if you’d share this at my Spring Mantel Party, going on now @ the Delectable Home. So lovely! 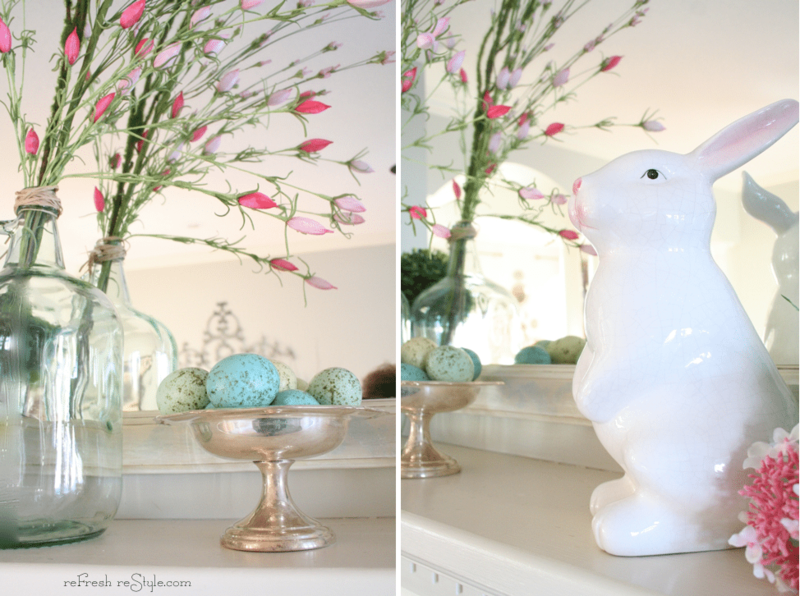 I love the sweet bunny and those pink flowers! All pastels say Spring to me! Oh Debbie… you already knew I would adore it, right? It is so sweet and all “dreamy~Springy” with just the perfect touches of pink. “Our” bunny sure looks cute up there! If I ever get a fatter mantel, maybe mine will hop on up too? Thanks so much for sharing it!! It is really, really lovely! 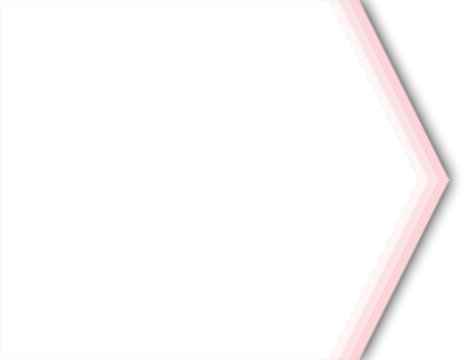 I don’t think I’ve ever used pink either, but you did it perfectly! I’m actually on the hunt for a galvanized bucket of some sort… I want to use it as a sink in our powder room! 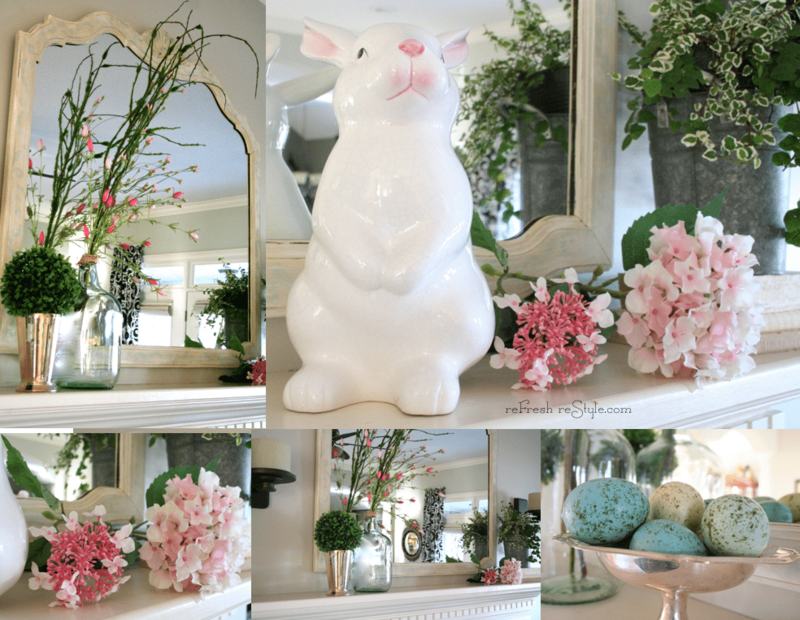 Love your Spring Mantel! I love green for Spring, of course! Love, love, love the pink! So fresh, wonderful job! So cute! Love the pink! And the raffia wrapped bottle is perfect! LOVE it! the pink touches are so pretty! Absolutely lovely. I LOVE it! Sooooooo beautiful Debbie! Where did you find those pink flowers? The colors are so lovely and soft! Your mantel looks so pretty, Debbie! It just screams Spring. I love the soft colors & the pink accents really pop. 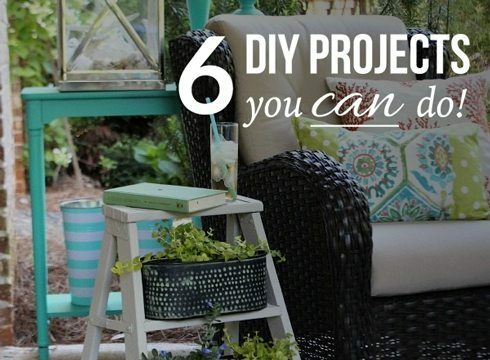 That galvanized bucket is great too! Your mantel is sweet, charming & just plain lovely! Love the precious little bunny. So pretty! I love the pink! I haven’t even started on mine yet. 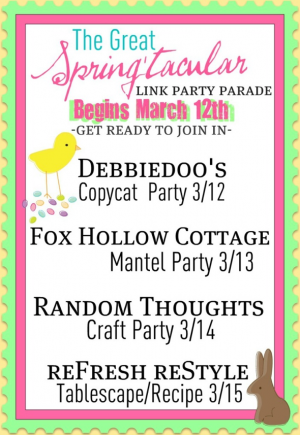 I wish these parties lasted longer, but it looks like (based on Debbiedoo’s) they are only lasting a day or two. Bummer!